‘You taste what you see’ puts packaging in prime position. Product experience will be tempered by design and will need to be in less experienced markets. It’s critical that our brands are not disorientated as Bill Murray’s ‘Lost in Translation’ film character was, in a Tokyo bar. . .
Less than 1% of the Chinese population are able to speak English fluently, which means symbols and images as communicators become vital. They speak volumes and carry important but subliminal messages. A brand name is an invitation to participate for the consumer, but pronunciation can be a burden or a blessing. For example, ‘R’ can prove hard to pronounce in Asia prompting the Remy Martin bar-call to be affectionately known as ‘the man headed horse’. But this consumer bar call was thrown away as a generic detail on the design. New packaging placed the icon centre stage, locking up with the brand name and dramatised on the carton. A sleeping equity was brought to life reinforcing a connection that transcended language. Vietnamese Lunar New Year (Têt) is the most important and popular holiday festival in Vietnam. It's a time of celebration, family reunions, ancestor worship, gift giving and firework displays. Gifting is a vital part of culture and 'lucky' presents are given to enhance relationships. Imported whisky and cognac gifts carry a potent message of respect, appreciation and gratitude. The Johnnie Walker brand walks tall with imported status, the ideal gift for men. The icon endorses the dynamic, masculine values of the brand and Têt packaging made the hero ‘walk the talk’. Full size across the pack fronts, the highly recognised icon in-filled with exuberant and decorative patterns of gold embossed fireworks, nods to local culture. Apart from winning the eye in a ‘dark market’, dramatising the 'Striding Man' helped drive brand awareness and build visual equity through the rest of the year. Local nerves can be good to touch! By direct comparison with the previous year, Têt volume sales of Johnnie Walker increased by 63%. Chinese New Year packaging went a step further in embracing local culture by following the same principle. This time the hero drawn by well known local artist Pan Jlanfeng. 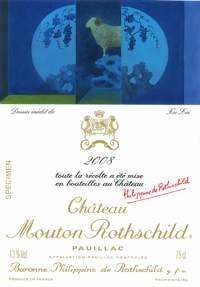 Chateau Mouton Rothschild also plays to its strengths commissioning local artists. A Chinese artist created the 2008 label. Xu Lei features the signature ‘mouton’ standing on a rock between two half moons. Rumours alone that a Chinese artist had been chosen, saw the value of cases rise from £1,800 to £2,200 overnight. 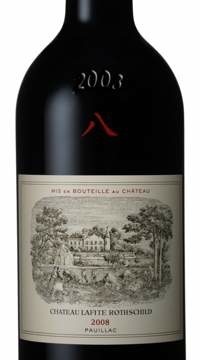 In turn Chateau Lafite features the Chinese figure eight on the bottle of its 2008 vintage celebrating a new vineyard venture in China. 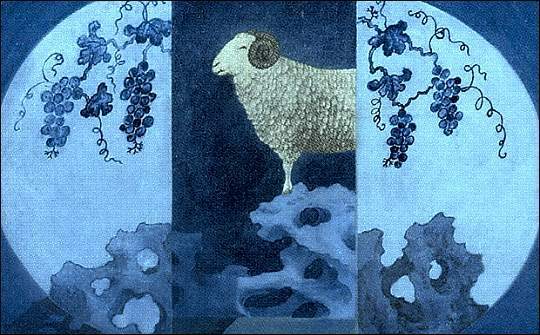 Number eight is particularly auspicious as the Chinese word for eight (ba) is similar to the word for prosperity (fa). To the professional eye, the marketing brief shows and the mark is something of a ‘bolt on’. An immediate price spike has not been sustained. Designers can now confidently expect packaging briefs which are mindful not to be ‘lost in translation’. But, as brands look to engage with local markets they must also ensure they stay true to their DNA. The chameleon adapts with care.